Very friendly, fast clear non meta build. Perfect for starters and funny for old players. 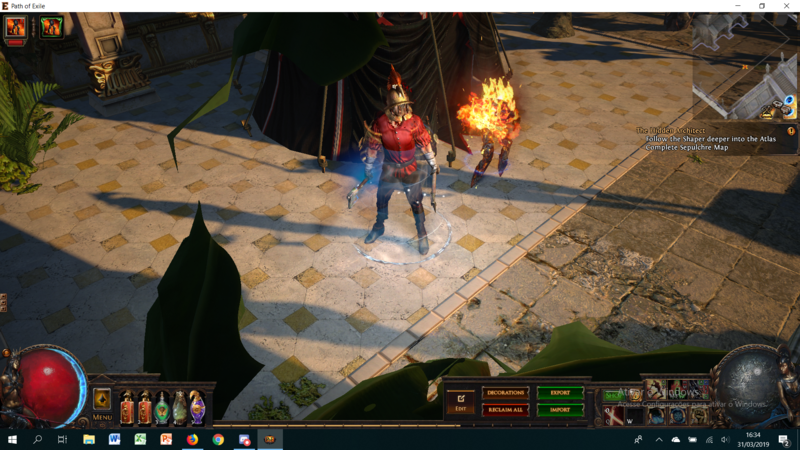 Shaper, Elder, Uber Lab and all tier maps. Atziri (with some changes your AWarchief can do it), recflect maps. -Pastebin is out of date but you can see my character. -Priorize Gratuitous Violence and go for Outmatch and Outlast. -Situational - I love Ryslatha XD. -With my gear, in my hideout, my Sunder skill with flasks and AWarchief are doing 316k dps. With 110% (from tree + carnage + ascendancy - PS: you can use haemophilia for + 40%... i have 1 in my personal stash) + damage from minions/totem. You will do around 5 attacks per second with 3 frenzy charges. Do the math XD. -Try to find an Shaper stat stick for off hand - mine actually was 30c. 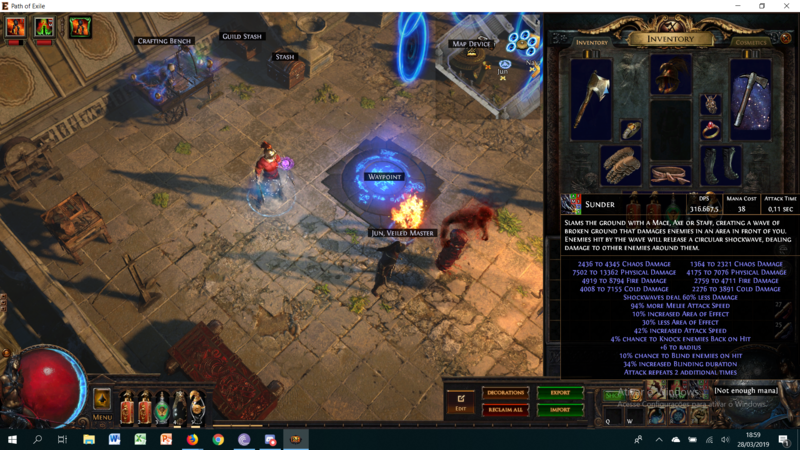 -Soul Taker is cheap on this league, so try to find a better 1 (mine was 7c). Corrupt it - its worth the trys XD. -Diallas chest is to lvl your gems XD. -About Vaal Pact... Well... use it. Cool, had already made a build similar to yours, I'm testing your build.